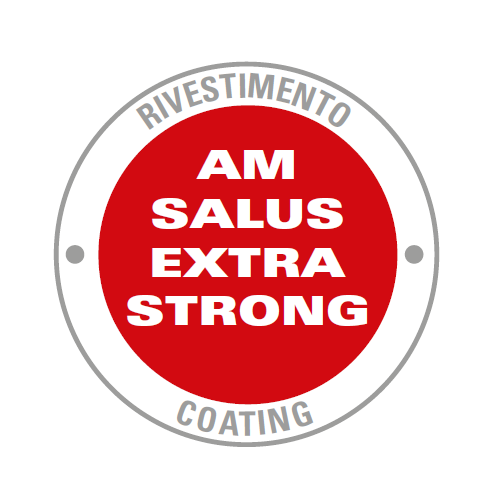 Coatings – ACCADEMIA MUGNANO S.p.A.
Based on their proprietary application process AM Salus, the ACCADEMIA MUGNANO laboratories have developed three application systems that use extremely resistant, PFOA-free biocoatings: AM Salus Diamond Prof for sprayed products, AM Salus Extra Strong and AM Salus Hard System for rolled lines. 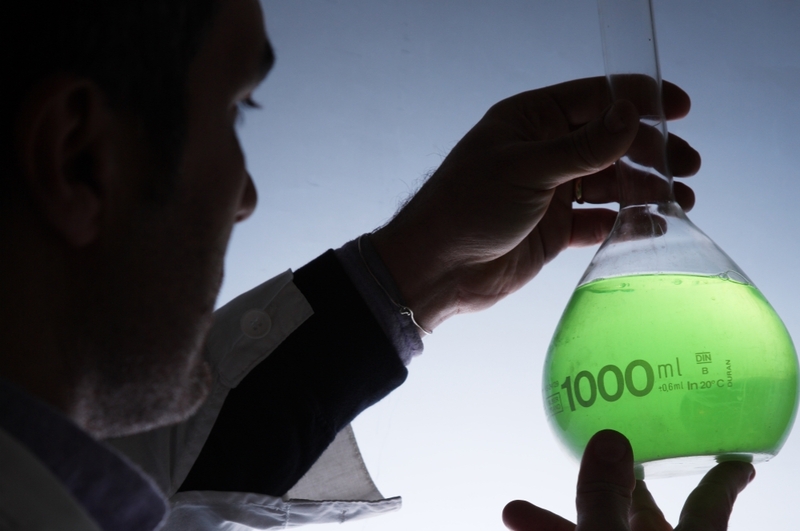 These application systems characterise ACCADEMIA MUGNANO products in terms of superior resistance, quality, safety, consumer health and environmental protection. 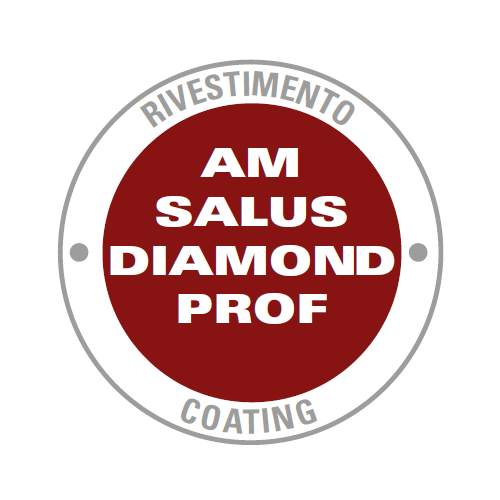 Products with application of the AM Salus Diamond Prof non-stick coating are granting an exceptional performance against corrosion, abrasion, cuts and scratches even in extreme usage conditions.. 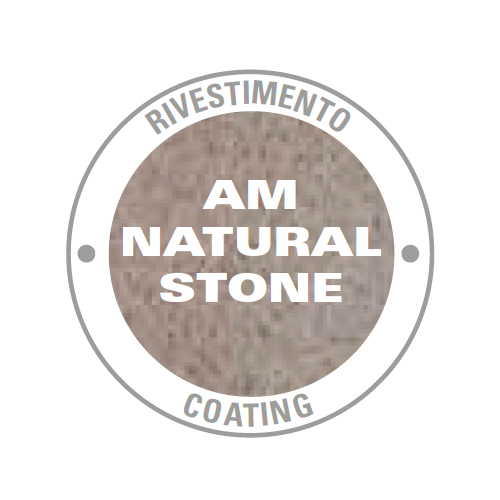 The special and innovative coatings AM Mineral Stone, stone effect with micro particles of natural minerals and reinforced with titanium (Mineral Stone) or with diamond powder (Diamond Tech). 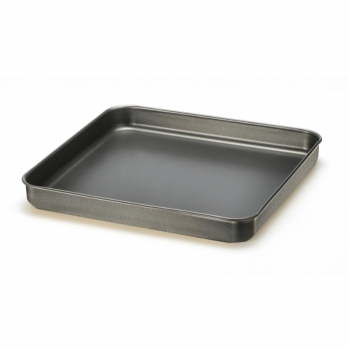 A multilayer coatings with a unique mix of titanium particles mixed together in order to build up an extremely hard and very compact surface capable to: heat up quickly and retain heat for long, ensure a high degree of non-stick, providing exceptional resistance to scratches, cuts, abrasions and wears offer a strong resistance to the damaging effects of fats and high sugar content foods allow easy cleaning with rough sponges and in dishwasher. AM Mineral Stone e AM Diamond Tech, thanks to a special coating stone effect, reinforced with titanium and thanks to the application processes at low temperature (designed by the laboratories of Accademia Mugnano), the coatings does not release toxic substances, even at very high temperatures, reduces CO2 emissions, makes the cooking faster, easier the cleaning with significant energy savings and a reduction of pollutants released into the environment. The coating is made of silica-based eco-friendly ceramic nanoparticles forming a compact, non-porous surface which is extremely smooth, longer lasting and incredibly scratch and abrasion proof, and ensures unique non-stick performances. Natural Ceramic – thanks to the special nanoceramic coating and low-temperature application processes developed by the Accademia Mugnano Laboratory – does not release harmful substances, even at extremely high temperatures, reduces CO2 emission levels, makes cooking faster and cleaning much easier, resulting in appreciable energy savings and a drastic reduction in the quantity of pollutants released into the environment. 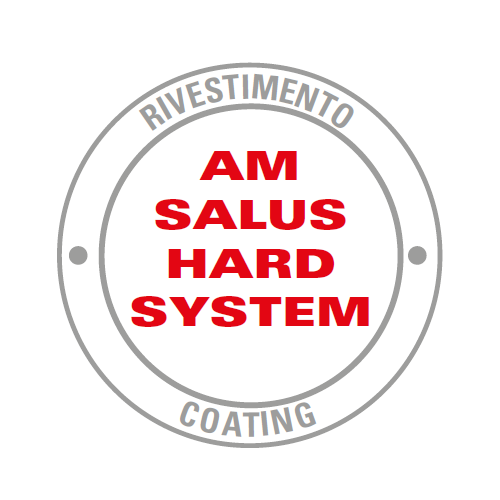 Extra Strong and Hard System non-stick coatings applied according to AM Salus process are granting a particular non-stick performance along with a special hardness to make them strong and highly resistant to scratches and abrasions. 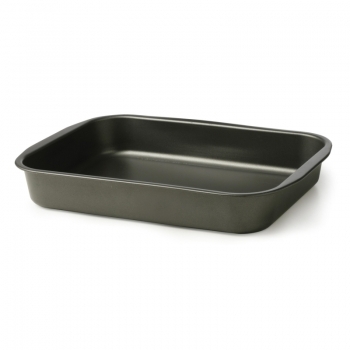 The high quality of the non-stick-coatings and the innovative technological applying process, under a special cycle (water based), enable the outcome of highquality products, environmentally safe and perfectly fit for food contact in order to become perfect AM cooking tools for the nowadays healthy, light cuisine. 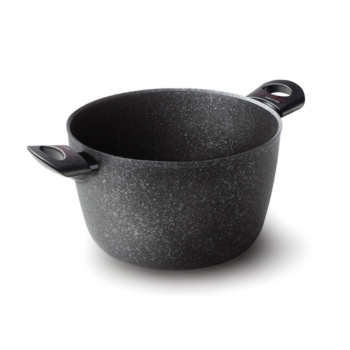 AM Salus Extra Strong and AM Salus Hard System non-stick coatings thanks to their properties, hardness and high resistance are particularly suitable to be applied on High Quality Cookware. 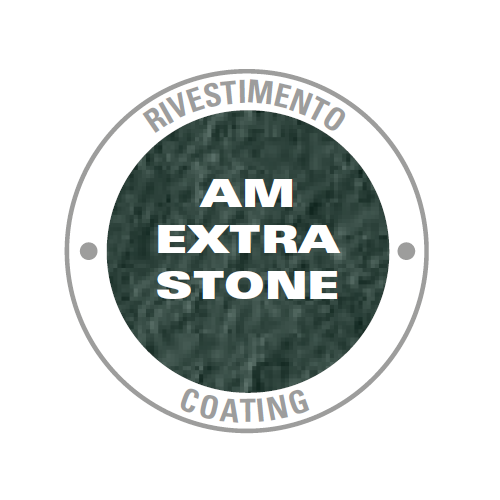 Innovative stone effect coating reinforced with micro mineral particles. 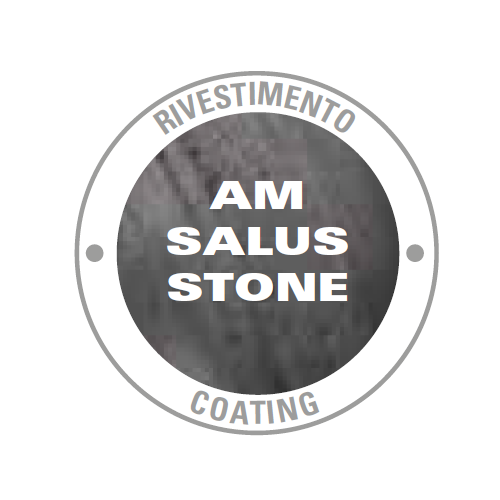 The AM Salus Stone, AM Natural Stone and AM Extra Stone coatings are a multi layers coating with a stone particles mixture that gives an extra strong surface able to grants an high resistance to scratches and ensures a perfect cooking with no oils or fats enhancing the natural taste of food. A REAL GREAT PARTNER WORLDWIDE!